Large organizations today have a significant presence outside their home country. This naturally results in having employees who hail from different nations and speak multiple languages. 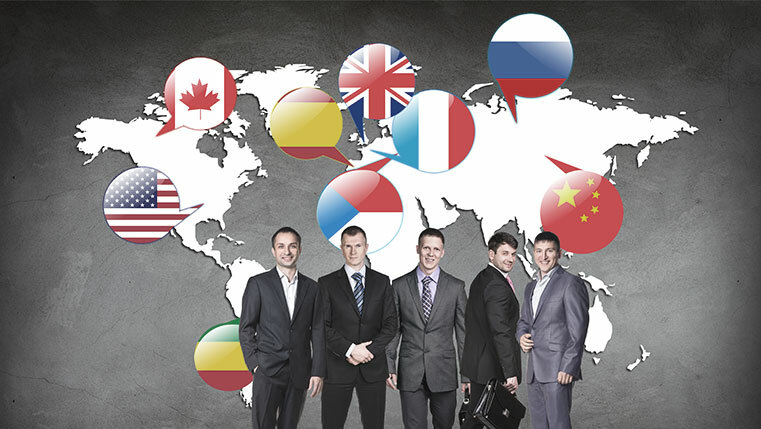 English language proficiency amongst your employees may not be uniform across all your global offices and certain training programs such as compliance, safety, processes or best practices merit accurate comprehension of course content. It is in such cases that courses are best translated into local languages. Check out this video that shares why multinational organizations need to consider translating courses into local languages. Else, you can skip to the next segment where more information is shared about the translation and localization process. However, eLearning course translations are not as simple as it may seem. Here are some guidelines that will help you, when you want to get your eLearning courses translated into multiple languages. Understand the translation and localization process adequately. Inputs Phase: Here, the content is taken from the course that needs to be translated. A storyboard is created, and it includes all the elements such as content, images, learning objects and audio/video elements. Methodical planning and precision are required to ensure that there is no mix-up in the content and sequencing of elements. It is good to have a list of technical words and ensure that they are standardized across the elearning course. Translation Phase: The second phase is the translation phase. Here, the translation gets done based on the storyboard. Ideally, a native translator translates the course and it is reviewed by another expert. At the end of this stage, you should have multiple storyboards in all the desired target languages. Integration Phase: In this stage, the developer integrates the various elements of the course using the source files. Content, graphics and all the elements have to be localized, based on the target language, here. Quality Phase: Elearning Courses, at this stage, are evaluated for their linguistic and technical accuracy by experts. A careful evaluation of the text is required because the textual content in the target language version of the elearning course may be longer or shorter than the source. As a result, it may look awkward and blank spaces could appear. Similarly, the accuracy of audio narration needs to be monitored carefully to ensure that integration has been done correctly and the narration is synchronized perfectly with the ‘on-screen’ content. Once the course goes through these stages, it is ready for final submission to the stakeholder. Feedbacks are then implemented, and the course is ready for deployment. 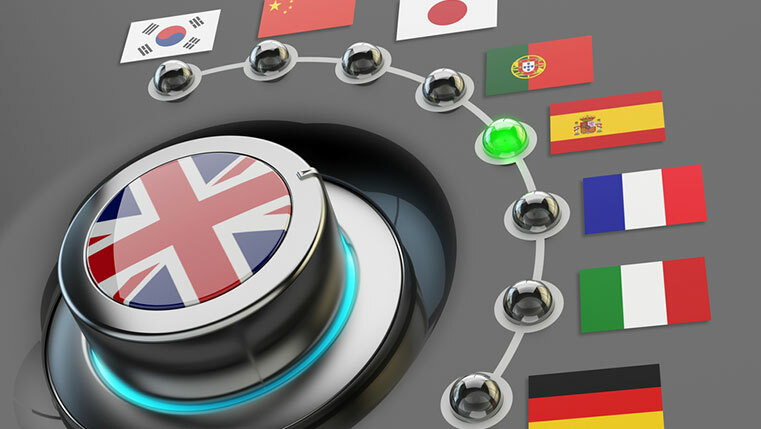 The translation process can be smooth and event-free if you adhere to certain basic guidelines. In the following segment, let’s look at some of them. If you want to make sure your translations are done quickly and efficiently, you need to adopt certain best practices as follows. Start with a final and approved version of the course in source language. It is advisable not to simultaneously work on the source language as well as translated version. It saves a lot of rework and, multiple iterations can be avoided when you have a “fixed” final output that needs to be translated into various languages. Reduce the textual elements in images and videos. If you have limited textual elements in images and videos, it reduces the translation and integration time. Wherever textual elements are unavoidable, it is better to have them in layers for different languages to expedite the process. See box to learn more about handling images and videos. E-learning course consists of several audio, video, image and textual elements. Each of these elements needs to be translated to ensure a perfect translation. So, if you plan to translate courses into multiple languages, even if not immediately, you should do the following. If Flash objects are used in the course, you should have a backup of the source files which normally have .fla extension. This saves a lot of time as they need not be recreated during translation. Video source files should also be preserved. Textual content that appears in front has to be translated into the target languages and having the source file makes it easier as one need to work on just the text and publish the videos into multiple languages as required. Image or graphic files, which are typically created using software such as Photoshop should also be saved. Image files have layers with different elements that include textual elements. With source files, it becomes easier to work on the layers with textual elements and save the graphics into the desired languages. If you plan to include learning resources in the form of PDF documents in the course, you have to make sure that the source files in the .Indd format are available for editing and revised based on the target language. This ensures that the quality of the output of the translated resource is as good as the original. Very often once the eLearning course is created, the source files are not archived or tucked away in a streamlined manner so that it can be retrieved at a later date. This results in painful re-creation of the learning elements from scratch, which is a needless in terms of costs and time. Therefore, you should ensure your source files are handed over to you along with the eLearning courses and these are saved well for future reference and use. Use translation templates. Based on the finalized source language course, you can create templates that provide information about what needs to be done in an easy to understand manner. Similarly, templates will be helpful when sending courses for translation as well as for audio narration. They will benefit not only the narrator and translator but also the eLearning developer who needs to integrate various elements. Choose an eLearning authoring tool that provides translation options. Some authoring tools allow the creation of multiple language versions within a single course giving you options to switch between languages. They save time and are quite convenient. E-learning translations can be either a laborious exercise or a smooth process depending on the preparation and pre-work that is done in advance. With careful planning, translations of eLearning courses can be done easily and in a cost-effective manner. All you have to do, is pay attention to the little details that go a long way in streamlining the process.